This entry was posted in bicycles, community, race on September 29, 2011 by Kirsten. I think I just died and went to heaven. If you had anywhere near as much fun reading my interactive mapping post on AMS::ATX a couple of weeks ago as I did writing it, then you will LOVE this post from Shareable, an online mag that focuses on sharing and design. Real-time crowd mapping??? Using crimespotting technology to locate cabs?! 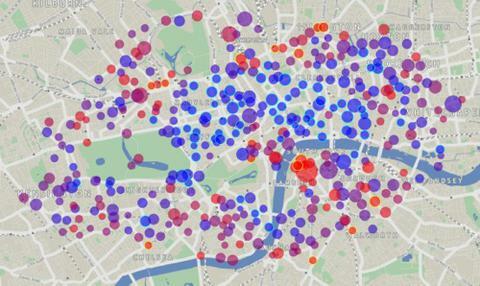 Using GPS data from bike-share bikes to locate high-use areas??! And a beautiful write-up to boot! This entry was posted in maps on September 29, 2011 by Kirsten.